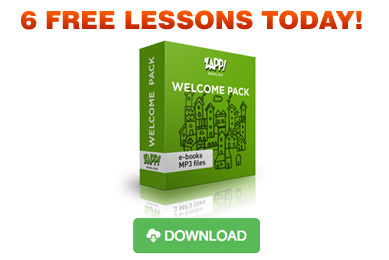 Download FREE English Listening MP3 / Audio Lessons – Practise Your English Listening! All the Zapp! English Listening practice audio lessons below are FREE to download. The lessons provide listening practice suitable for IELTS, Cambridge PET, FCE & CAE. 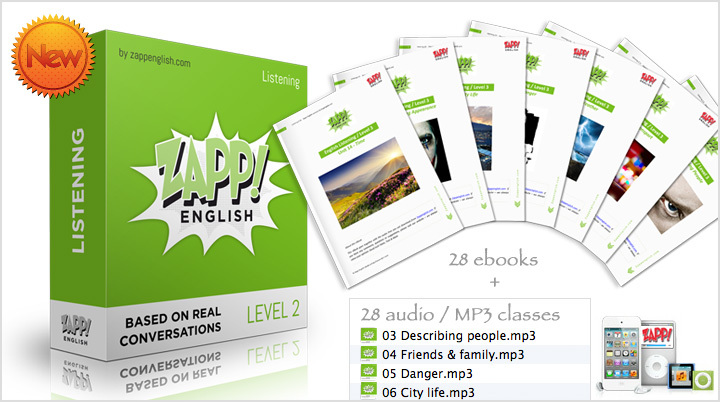 Learn *REAL ENGLISH* with the Zapp! English Listening audio classes. Download this FREE audio podcast containing English listening comprehension exercises based on 100% real English conversations between native English speakers, recorded spontaneously and without scripts. Every podcast comes with an e-Book that includes the complete transcript of the listening class (and conversations) and additional material, including the written English listening exercises in the audio. Answer the English Listening Exercises in the Audio! Try to answer the exercises in the audio lessons as you listen – this will really help with your English listening comprehension.